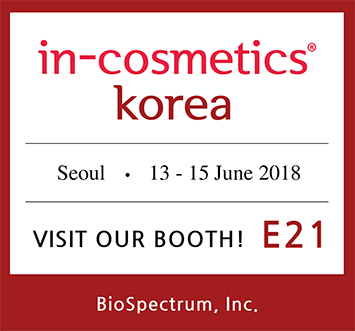 We gladly announce that BioSpectrum, Inc. will attend in-cosmetics Korea 2018 in Seoul, Korea from June 13th to 15th. Korea is one of the leading countries in cosmetic trend, and in-cosmetics Korea provide you a great opportunity to experience Korean cosmetic industry. Please visit us and do not miss the chance to meet our superior active ingredients and the Nobel Prize-inspired new ingredient, B-Circadin.